March 06, 2018 at 11:33 am. Eight days away from the start of the league year, the NFL has revealed the salary cap for 2018 along with the franchise and transition tags. The latter is significant, considering that 4 pm Eastern time today is the deadline for tags to be issued. The salary cap for each team this year will be $177.2 million, a figure lower than previous reports of between $178 and $179 million. The smaller number occurred because the league and NFLPA agreed to an increase in the player-performance pool, which pays bonuses to all players based on playing time, but awards the most money to players with lower salaries. Already officially tagged are Dallas defensive end DeMarcus Lawrence, Detroit defensive end Ezekiel Ansah and Miami wide receiver Jarvis Landry. After the Cowboys placed the tag on Lawrence Monday, his agent, David Canter, announced that Lawrence signed the tender, making his salary guaranteed. 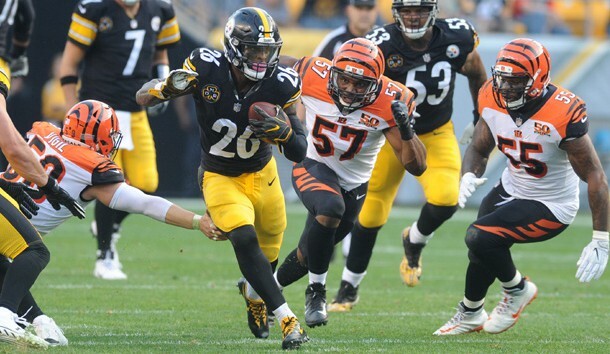 Meanwhile, after failing to reach a long-term agreement for the second consecutive year with running back Le’Veon Bell, the Steelers told Bell he will be franchised again. While the tag for running backs is $11.866 million, that doesn’t apply to Bell. By virtue of playing on the $12.12 million tag for 2017, a second franchise tender is set at a 20-percent increase, putting the tender for 2018 at $14.544 million. The Rams are reportedly deciding whether to place a tag on wide receiver Sammy Watkins or safety Lamarcus Joyner. The Jaguars informed wide receiver Allen Robinson he would not be franchised.